An unpredictable child and a radio-controlled 18 ton truck. 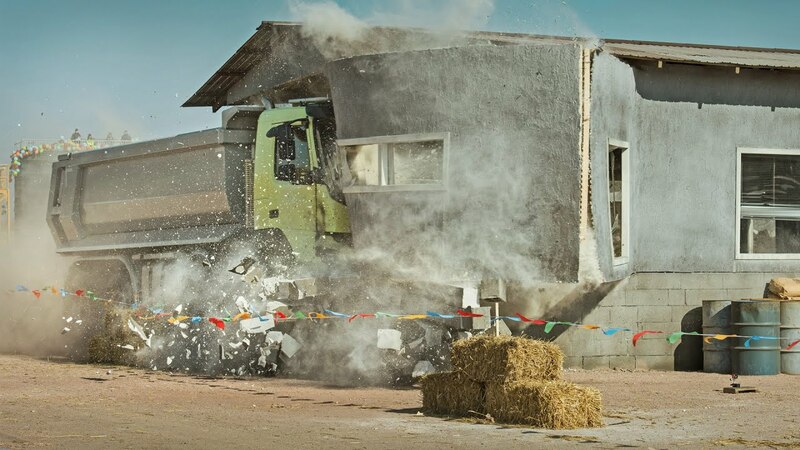 In Volvo Trucks’ latest film “Look who’s driving” four-year-old Sophie exposes the Volvo FMX to the toughest challenge yet in the Live Test series. Volvo Trucks’ newest Live Test, “Look who’s driving”, sees four-year-old Sophie drive an 18 ton Volvo FMX through a construction area using a remote control. The truck has been given several new functions over the year, and the objective of the test is to show how much it can tolerate and how easily it copes in the most demanding environments. “To show what the truck can do, we want to give it a real challenge. What test driver is more reckless than an unpredictable four-year-old?” asks Richard Fritz, Vice President of Volvo Trucks.